CHARLES W. MILLS, JR., B.A., J.D., is a Certified Legal Specialist in Workers' Compensation and has devoted his entire practice to the Defense of Workers' Compensation and related matters since 1975. During this time, he successfully argued cases before the California Court of Appeals. Charles graduated from UCLA and received his Juris Doctorate from Southwestern University School of Law in 1975, where he graduated with Honors. 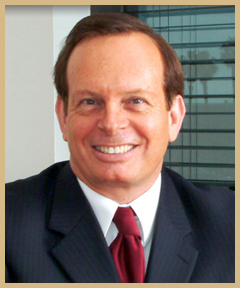 Charles has been named a 'Super Lawyer' in Southern California by his peers and Los Angeles Magazine for the year 2009. Material on this site is owned by Stoody & Mills. No material or photographs from www.smdcomp.com or pages contained within, may be copied, reproduced, republished, uploaded, posted, transmitted, sold, resold or distributed in any way.